Enjoy the beautiful, deep purplish blue hue of this authentic tanzanite stone from Apples of Gold Jewelry! This stone, a princess-cut tanzanite with an A quality rating, measures 5mm x 5mm, and is surrounded by round-cut white topaz to add some extra sparkle to the ring! 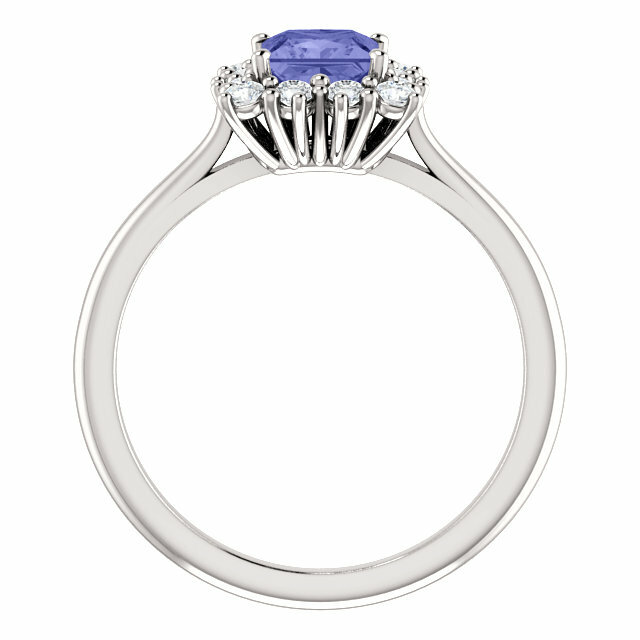 Set in a .925 sterling silver band, this tanzanite ring will easily become a favorite due to its playful, fun color and the way it blends nicely with other jewelry and clothing in your wardrobe. 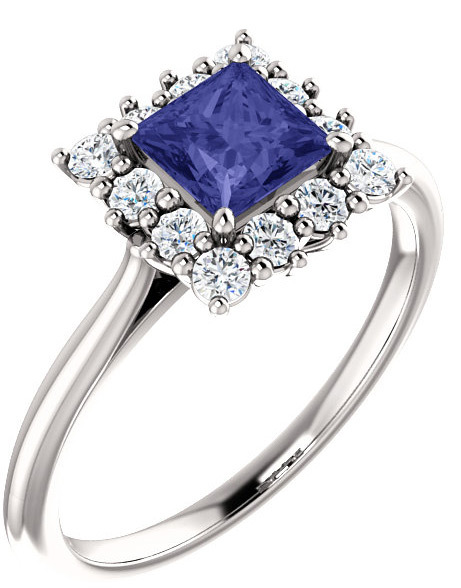 Available in women's sizes 4.5-9, this real tanzanite princess-cut halo ring in sterling silver is a fun design that you won't want to miss out on! 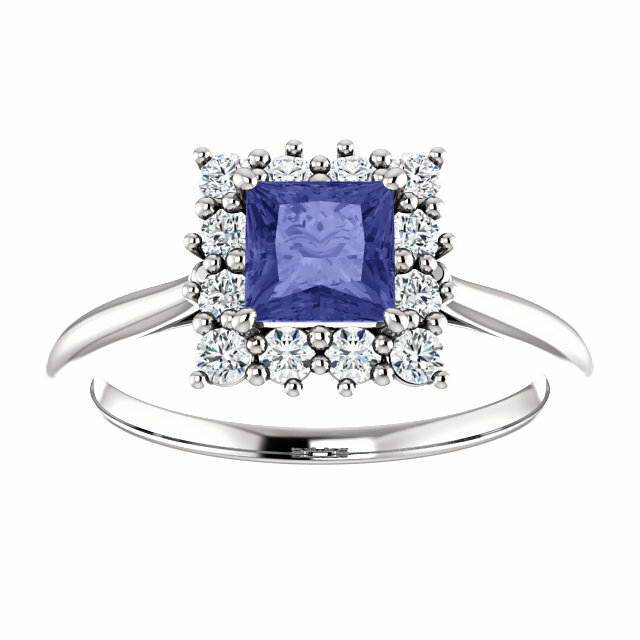 We guarantee our Real Tanzanite Princess-Cut Halo Ring, Sterling Silver to be high quality, authentic jewelry, as described above.